For the first time (in memory) this lightweight edition of the platform highlights series refers to the current Salesforce release (v43.0) not the next in line. As such there’s no need to cover release dates, pre-release access, release notes links etc. instead I’ll make a quick mention of the Summer ’18 certification maintenance changes. Previously all maintenance exams were taken via Webassessor and involved a recurring fee; with Summer ’18 most of the maintenance exams have moved to Trailhead and are now free-of-charge. This is great news for everyone but particularly those with multiple certifications to maintain. I found the new maintenance process to be a significant improvement, I particularity liked the practical testing element e.g. the “Get Hands-on with Flows” unit (App Builder certification maintenance unit 2). More of the same please. At long last the Apex language now supports Switch (or Case) statements for control flow adding coding simplification and processing efficiency (assumed). Switch statements in Apex support Integer, Long, sObject, String, Enum data types plus lists of literal values. SOQL queries that utilise the Count aggregate function no longer calculate Query Row limit consumption at the underlying record level, instead the number of aggregate groupings is applied. If there is no Group By clause then the limit consumption equals 1. This seemingly small change has a huge impact in enabling code to apply dynamic conditions based on the overall record count. Previously calculating a record count in code would be wasteful in limit terms in most cases, but impossible at higher data volumes. 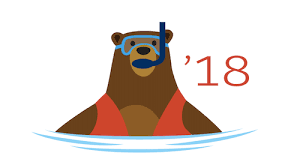 The SOQL Count Limits change in Summer ’18 is perhaps my favourite Apex language enhancement over recent releases, I can definitely see some significant benefits to the practical application of Apex/SOQL. Not often does a platform limit double in size between releases. The previous Apex character limit (3MB) was a soft-limit that could be increased by Salesforce Support, now however the limit is 6MB by default. A new standard object LogoutEventStream enables ApexTriggers to subscribe to User Logout events (not session timeouts). As the names suggests, the object should be considered as a published stream of event information and is read-only with no query support. This capability provides support for new security related use cases (e.g. logout propagation and audit tracking) as well as other data reset/cleardown type scenarios. Einstein Bots are a new Service Cloud AI capability enabling intelligent conversational experiences to be developed that utilise Einstein Platform Services. Bots are comprised of Dialogs (Messages, Questions, Actions or Rules), Slots (Data variables extracted from responses – and passed to Actions), Entities (Groupings of Slots for a given data type) and Dialog Intents (Phrases or words used by the Einstein Platform Intent Service to select the Dialog most likely to match the entered response). Actions can incorporate Apex code into the flow where required. Salesforce limits the number of free bot conversations to 25 per active Live Agent user. 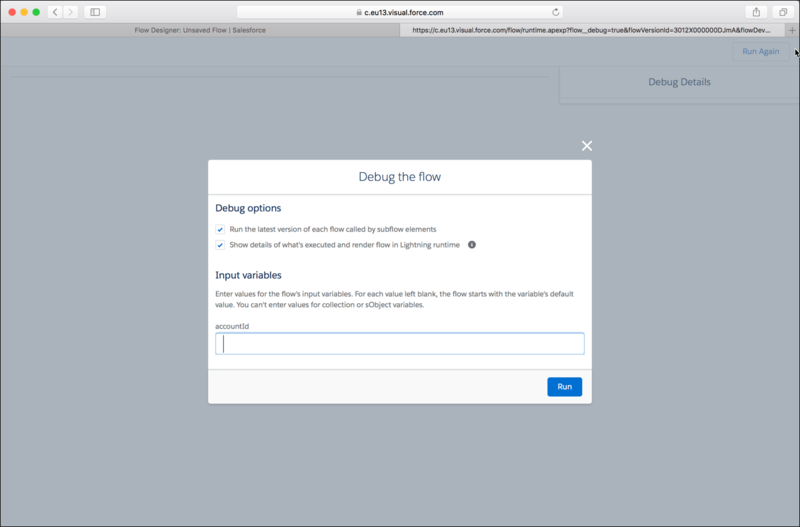 A new Debug button appears in the Cloud Flow Designer which allows input variable values to be specified and the Flow to be executed with the activity of each step displayed in sequence. Note, the Flow is actually executed meaning DML actions are not rolled back on completion. With Flow gaining a renewed significance in Lighting Experience (as a key component of the declarative development model), it’s great to see continued investment in this tool. The External Identity user license type now supports a model where no Contact record is required to be associated to the User. Contacts can be added at a later time if required. The Contactless approach avoids the overhead of storing, maintaining and potentially synchronising the 2 records. Where Salesforce is providing identity services only (or a blend of functional and identity based capabilities across the user base) this lightweight license type will provide some significant benefits. 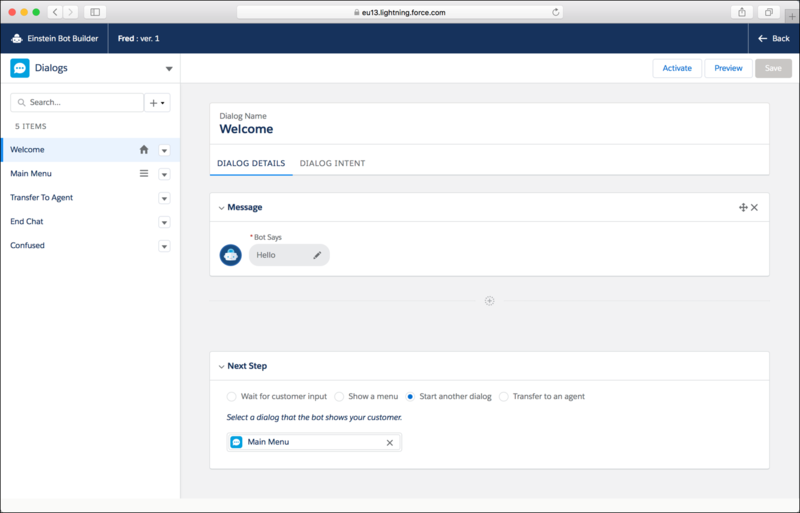 For example porting a membership database to Salesforce now becomes easier as the Contact or PersonAccount record could be added to the User at point of access and not up-front; thereby lowering the license cost (assumed) and optimising data storage. The Apex Replay debugger simulates a live debugging session using the Apex Debug Log generated by an executed transaction. Whilst very limited in general code debugging terms executed code can be stepped through, breakpoints set and variables inspected; all very useful tools to have available. it should be noted that unlike the full Apex Debugger, the Replay Debugger is free of charge and can be applied to logs generated by any org (including production orgs), the Apex Debugger is limited to sandboxes.